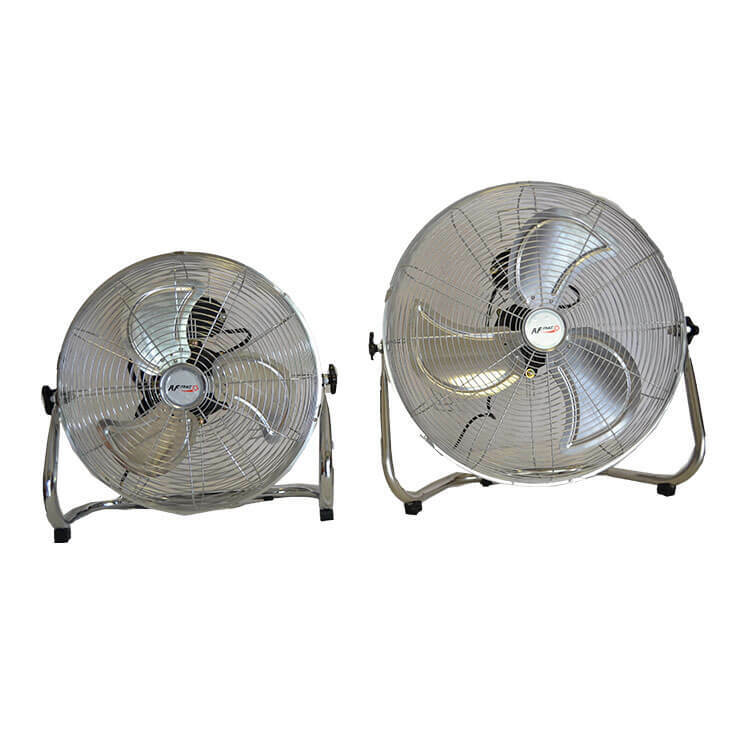 Our industrial pedestal and wall mounted fans are manufactured to the highest standards from good quality materials. 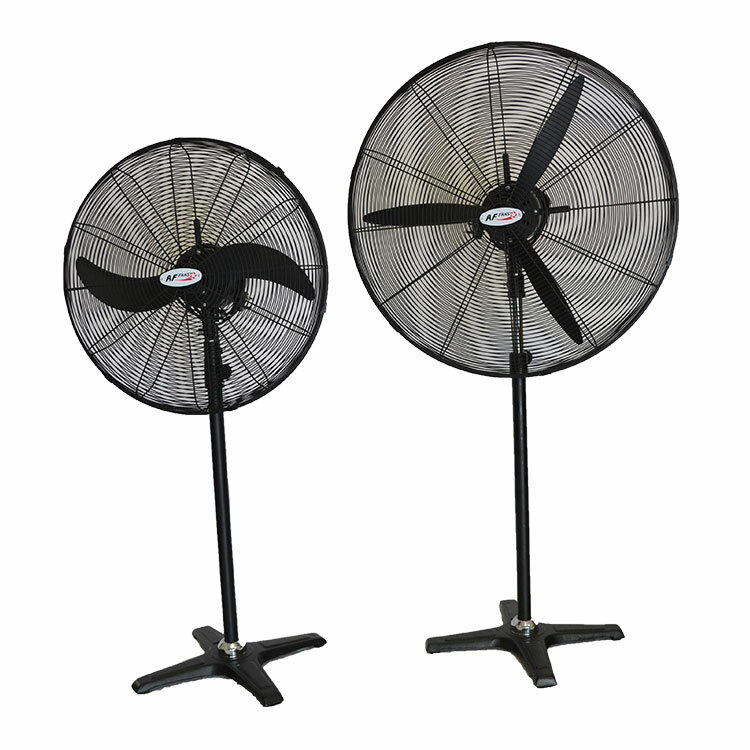 Tested for over 5000 hours continuously, they come standard with a 3 year warranty on the motor and NRCS certification. Whether you want to increase ventilation in your workshop, warehouse or factory area, cool down your gym or office space, dry biltong in your butchery or garage, or simply just be blown away, then one these fans will suite your application! 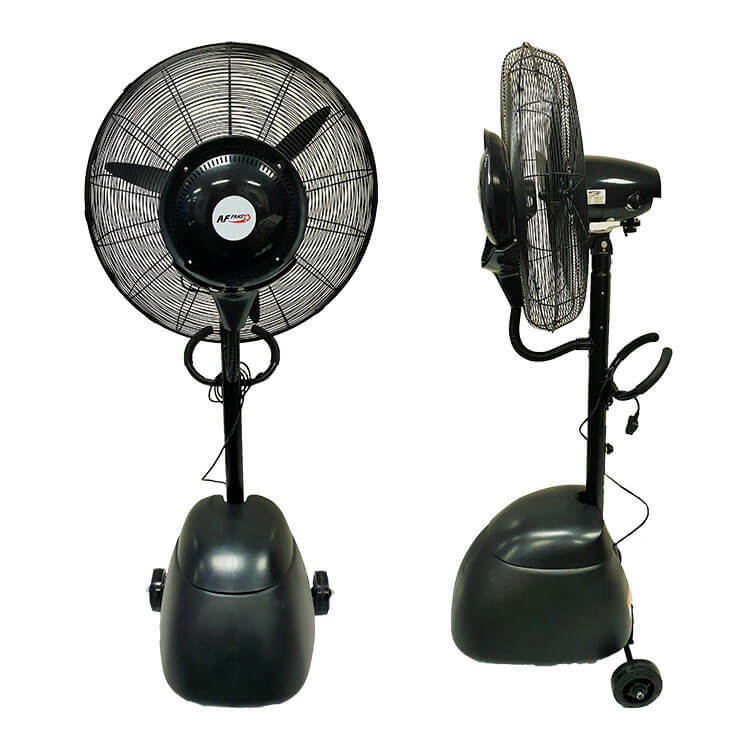 FEATURES: Matt black, 3 speed, 90 degree oscillating fan. Supplied with a height adjustable steel pole and heavy cast iron base. 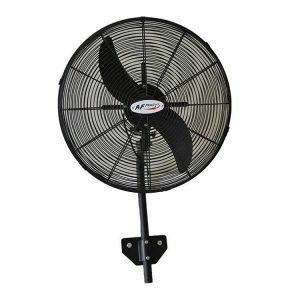 FEATURES: Matt black, 3 speed, 90 degree oscillating fan. Supplied with a height adjustable steel pole and heavy cast iron base. 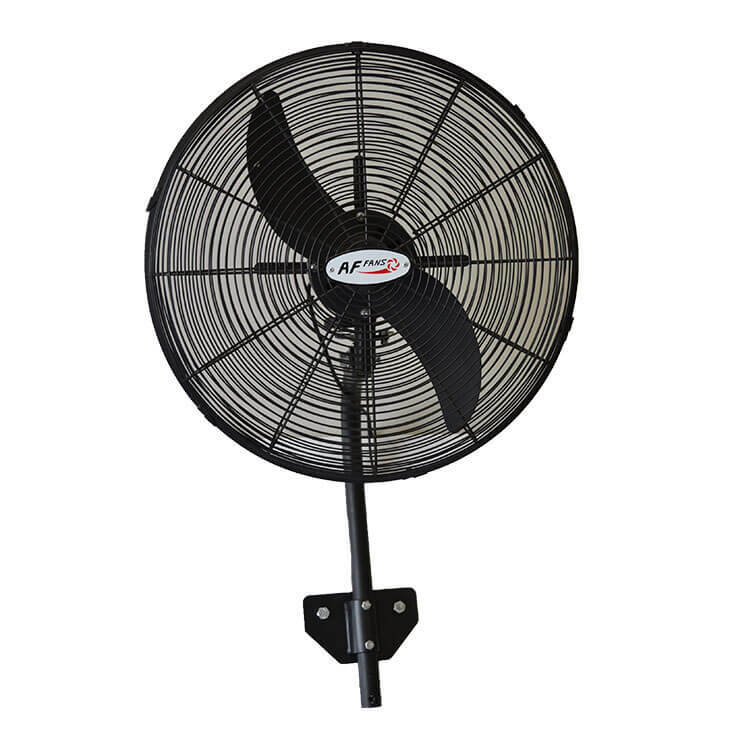 FEATURE: Matt black, 3 speed, 90 degree oscillating fan. Supplied with a sturdy steel wall mounting pole and plate. FEATURES: Matt black, 3 speed, 90 degree oscillating fan. Comes with adjustable misting volume, a 43lt water tank and waterproof electrical design. Comes with adjustable misting volume, a 43lt water tank and waterproof electrical design.